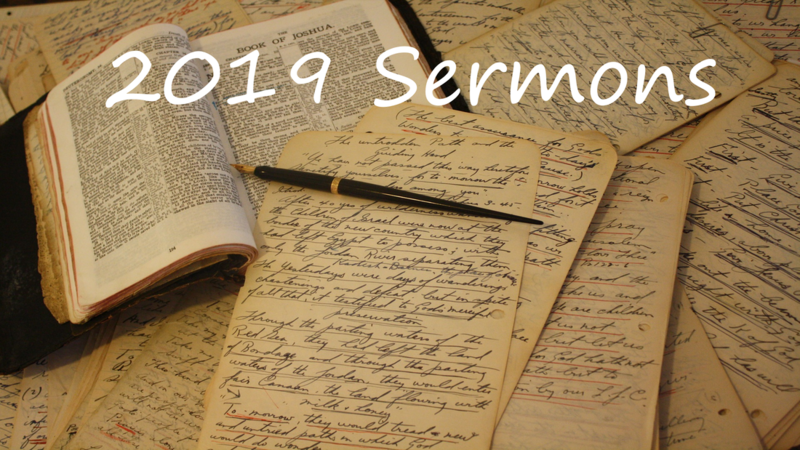 ​This week I am preaching the final sermon based upon the biblical themes from our church play, "General Hospital-ity". It is based upon the story of Daniel and the Lions' Den. This ancient tale of faith, patience and perseverance is a powerful witness to all of us about how God can help us in those most difficult times of our lives. If we have the Lord in our lives, we are never alone. I​n our church play, "General Hospital-ity", our time-traveling heroes, Derek and Tiffany, travel back to visit Mary and Martha, friends of Jesus, seeking the DNA sample for empathy and caring for others. This week's sermon is based upon that story in Luke 10. In our crazy, fast-paced lives, too many people feel worn out and overwhelmed. Many of them are forgetting the better part: taking time to learn Christ's ways by listening to him, being with him and then caring for others. I will explore a life-style people know all-too-well, unfortunately, and talk about the alternative Christ offers us. It is practical advice for living well. ​This week is the first of three sermons based upon the biblical scenes that were acted out in our church play, "General Hospital-ity". The first message illustrates the power of forgiveness taken from the story of Joseph forgiving his sinful and lying brothers in Genesis 50. Jesus commands us to forgive. It is central to our Christian faith. When we learn to truly forgive we are freed to live as God wants us to live. This takes courage, but it is the right thing to do. ​On Transfiguration Day, Peter & John saw Jesus transformed before their eyes & the glory of the Lord was revealed to them in this mysterious moment. The reading from Exodus 34 & 2 Corinthians 3 also talk about seeing the glory of the Lord without a veil. God still appears to us today but do we see God's glory in it's fullness or through a veil? What is the difference for us? The sermon will examine how we can encounter God with clearer eyes & hearts. Pastor Heidi will be preaching a 4 week sermon series based on the movie "Moana." ​Jesus of Nazareth is, perhaps, the most controversial figure in human history. This controversy began right at the beginning of his ministry, when he cause quite the scene in his own home town of Nazareth. In the final sermon in our "Who is this Guy?" sermon series Pastor Paul examines the many controversies surrounding Jesus during his lifetime, and also today. ​The gospels tell many stories about the mighty deeds done by Jesus. They make it clear that he had extraordinary abilities and powers that he used to help others. His deeds of power, or "signs" as they are called in John's gospel, did not always have the affect you would have thought. This week's sermon explores what Jesus did using his power, and what these deeds tell us about him. ​Jesus of Nazareth is the most important and controversial person who has ever lived. Since he first appeared at the banks of the Jordan River people have been asking, "Who is this guy?" This week I am starting the first of a three-part sermon series that deals with gospel stories about this question. This week I am preaching about "The One at the River". Jesus' baptism marks the beginning of his public ministry. People were already asking questions about John the Baptist when Jesus showed up. The story of Jesus' baptism raises many questions related to "Who is this guy?" ​Epiphany means "manifestation". On this day we celebrate the revelation of Christ to all nations. Some Christian traditions celebrate three great epiphanies on this day: the magi's adoration of the Christ child, Jesus' baptism in the Jordan River & his first miracle, in which he changes water into wine. The word & sacraments are for us the greatest epiphany of God's grace & mercy. We go forth to witness to the light that shines brightly in our midst.